Created for a specific architectural purpose, designer Alvar Aalto conceptualized sofa 544 for the famed Paimio Sanatorium. Clean lines, a beautiful honey-colored birch frame and comfortable cushioning produce a truly stunning sofa that was immediately added to Aalto�s permanent furniture collection. 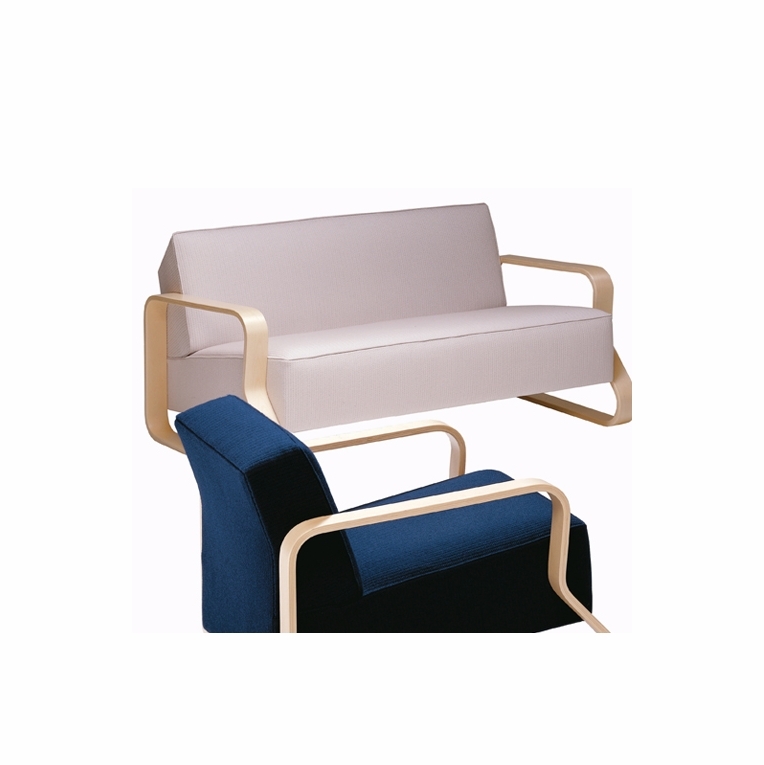 Exemplified in the innovative �closed-loop� birch frame that gives this sofa its unique shape, Aalto put himself into every piece of furniture that he created. Upholstered in a variety of fabrics to suit your taste, add refinement to your living room with the Aalto sofa. Made in Finland by Artek, ships assembled.Please review our Shipping Information page before ordering. Payment: 50% will be charged at time of order, remainder will be charged at time of shipment.